OK, you’re not going to do anything after you’re cremated, since you’re dead. But your family is going to need to know what you want done with your ashes. The rate of people choosing cremation over a normal burial has been growing over the years, and is expected to continue to grow. 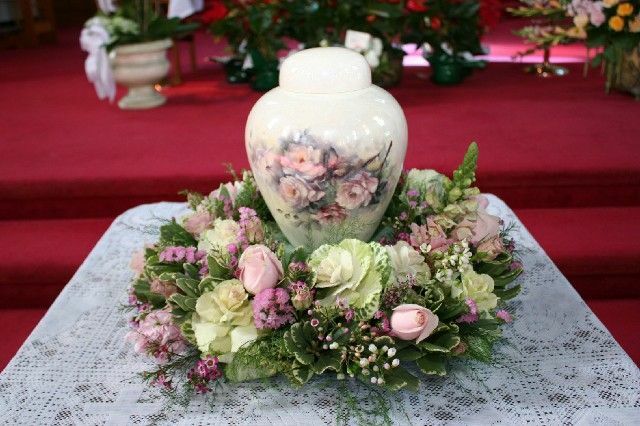 Most people simply bury cremains, or keep them in an urn. Some people wish to have their ashes spread in the ocean, or other places (although this is usually illegal in most places). However, you may want to do something even more amazing with your ashes once you’re gone. There is a company that creates a sustainable reef with your ashes that will be planted in the water and become a home for fish and other sea creatures. This is a great option for those that loved fishing or enjoyed swimming in the ocean, and you are giving back to the Earth! If you were a hunter, a soldier, or a policeman, you may want to have your ashes used in a set of bullets. Not only can you go out with a bang this way, but it also comes with an engraved wooden box. OK, more like the lead. Perfect for writers, you can have your cremated remains put into a set of pencils that include your name and birth/death date. There are numerous ways that your remains can become a work of art. You could have them used in the creation of a stained glass window, or many artists have been mixing cremains in with paint to create portraits of the deceased. If you really want to be part of the party you can have your ashes put into fireworks and go out with the biggest bang possible. What’s better than finishing your funeral with some fireworks to send everyone off in a cheerier mood? As you can see, there are some pretty crazy and interesting ways to deal with cremated remains. You don’t simply need to be buried or shaken over the side of a boat. And these are only a few of the options out there. You can have ashes put into jewelry, so that your loved ones to keep you close by when you are gone. It can be simply a piece of jewelry that holds some remains, or it can be jewelry actually made from remains.